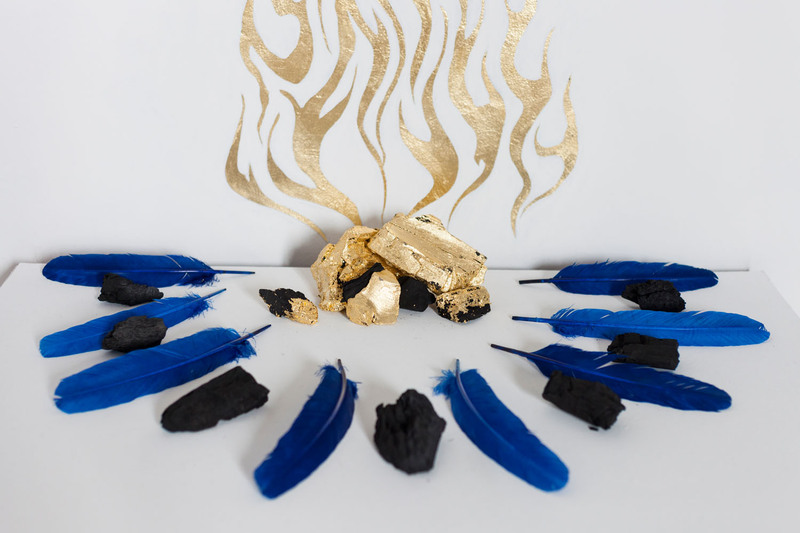 “Alquimia” is the new exhibition by Georgina Ciotti at UNION Gallery. 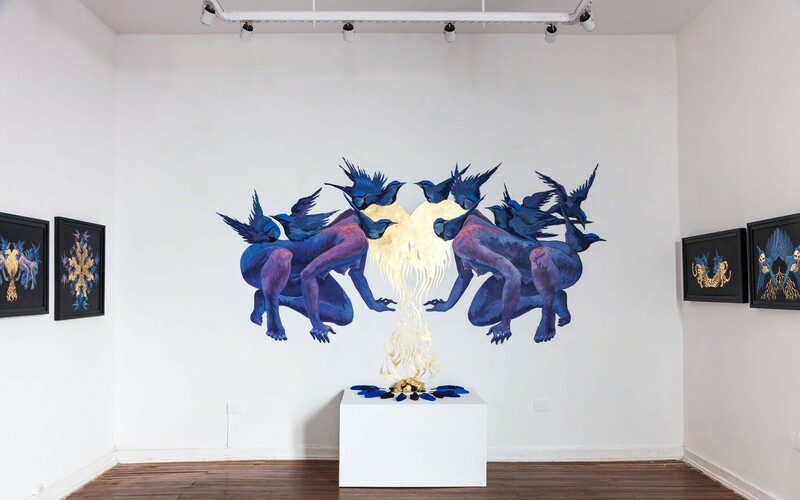 In this, her first solo show, the artist contemplates the dichotomy of human nature and animal instinct in a striking collection of original artworks which center on alchemy as a metaphor for a transformative process. 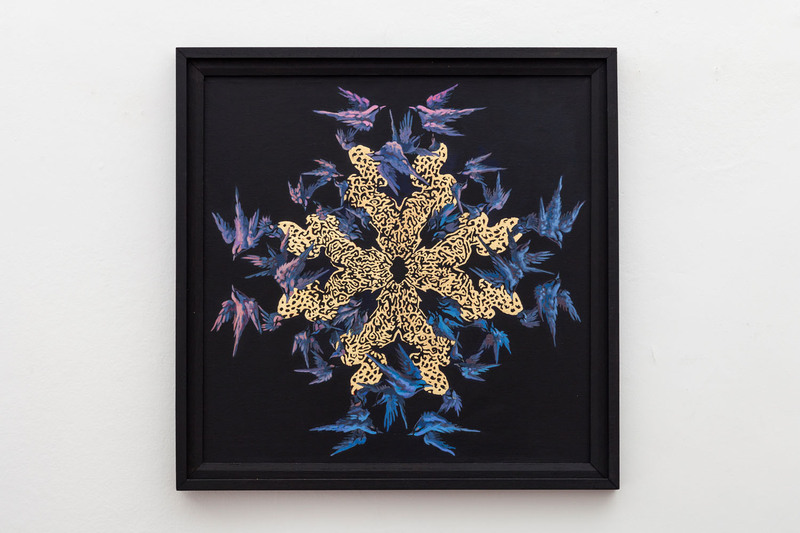 In these artworks, human figures twist and merge with the Saí and Ocelote, animals indigenous to Misiones, Argentina, creating a striking contrast between the pictorial elements in a palette of bold cobalt and the symbolism of delicate gold leaf, which floats over the coal-tinged black background. Georgina Ciotti is a multi-disciplinary artist whose work has spanned muralism, sculpture, design, illustration and special effects. Currently specializing in muralism, she has previously worked extensively in art and special effects for cinema, publicity and theatre with directors like Peter Greenaway, Pedro Almodóvar and Spike Lee, among others. Ciotti also participated as conceptual designer in cinema for: DOOM by Andzei Bartkowiak, Hellboy I, Hellboy II, and was a member of the Oscar winning team for best special effects makeup in Pan’s Labyrinth by Guillermo Del Toro. View and download the catalogue of artworks here.